Please follow Shannon on her blog and other social channels: Instagram, Facebook, Twitter, Pinterest, Bloglovin. Welcome Shannon! Why not start with dessert? I’m pretty sure I always start out the new season with a festive dessert 🙂 I can’t help it. I’m really good at craving it. 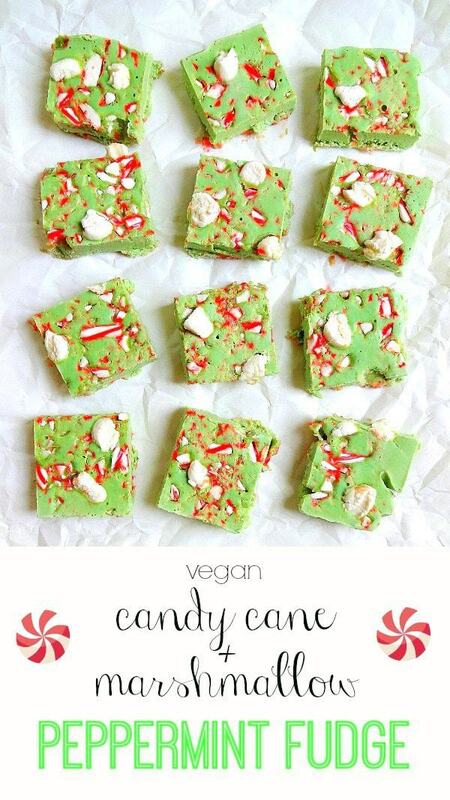 My one exception will be candy canes – they are not plant-based (I know!) but I’m allowing it, at least this year. Balance. 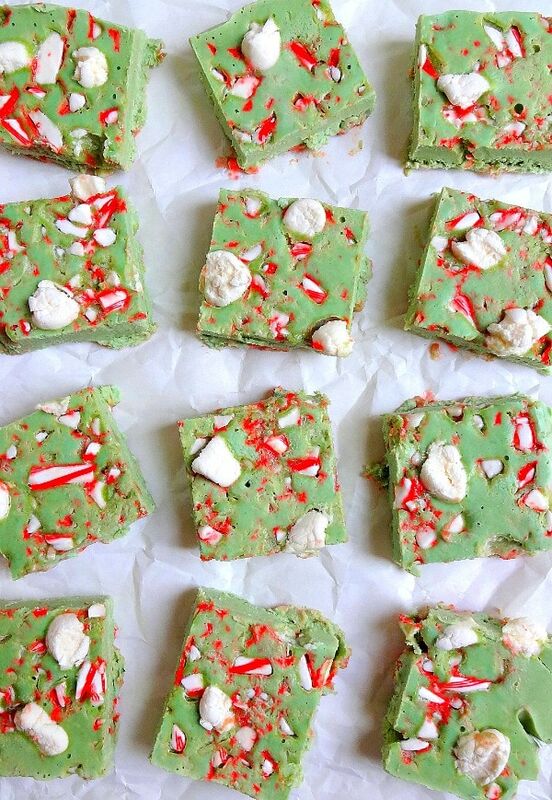 Crushed candy canes add that sweet minty crunch to this freezer fudge, making it the most amazing and festive holiday treat! I found vegan marshmallows at Whole Foods (yes!) so I added a few chopped marshmallows for more texture – so YUM. 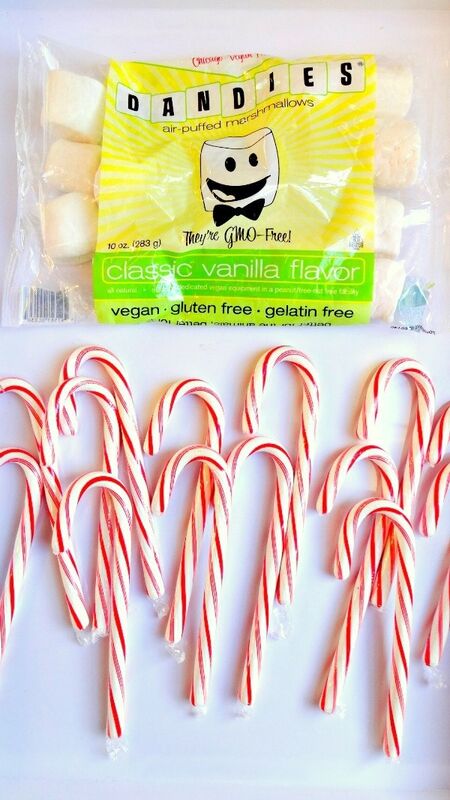 Who knew vegan + gluten free marshmallows existed?! 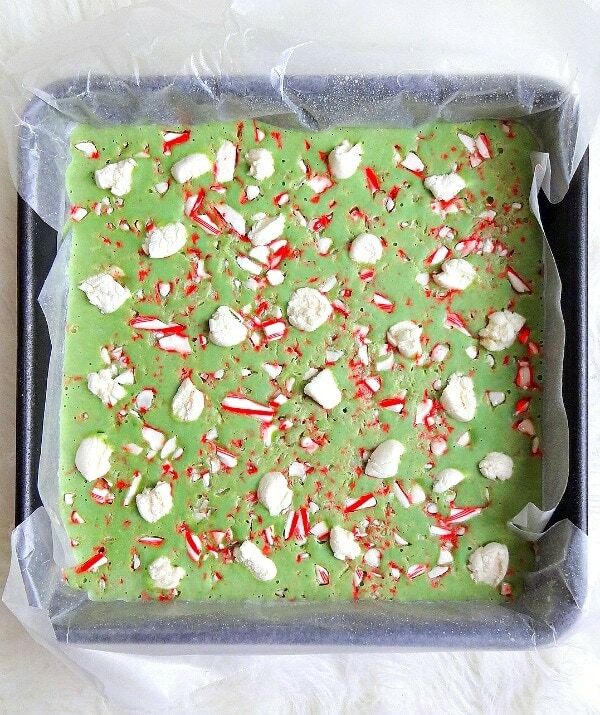 I love this Candy Cane and Marshmallow Peppermint Fudge because it’s a change from my usual chocolate fudge that I can’t seem to part with; plus it’s very holiday-ish! Think creamy, buttery (but no butter in the recipe), sweet, minty and light. How do you get that minty green color? From whole foods – oh yesss. I used E3Live and spinach; total added bonus with the greens. You will not taste the green components. PROMISE. You could use spirulina powder and spinach or any green powder really. Just add it in small amounts (teaspoons) until you achieve your desired minty green color. Step one: Crush candy canes. I added 7 candy canes to a ziplock bag and pounded them with a large kitchen spoon. Anything works, really. Line a 8×8 square pan with parchment paper and spray coconut oil (or your spray oil of choice). 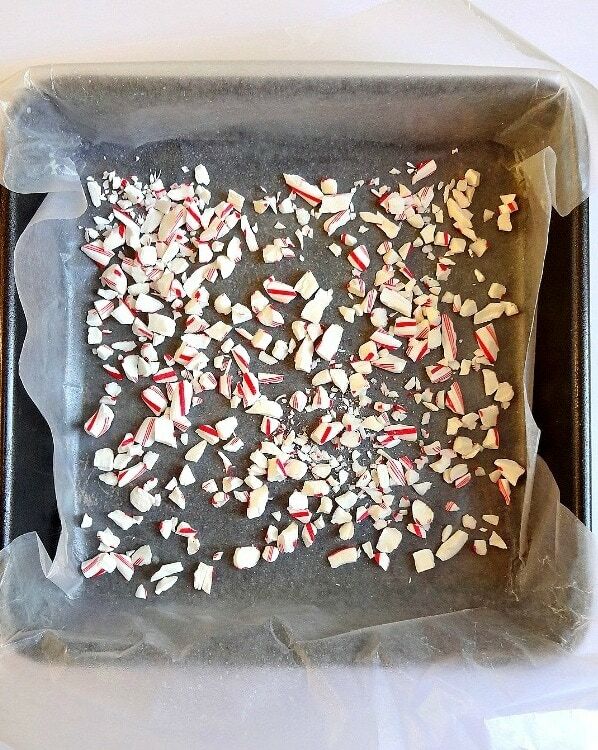 Add in half of the crushed candy canes and save the rest for the topping. Step two: Blend all ingredients for the fudge until smooth and creamy. Pour mixture into the square pan. Top with the remaining crushed candy canes and chopped marshmallows (optional). Step three: Place in freezer for about 4 hours or until firm. Cut into squares and go for it. It’s super easy to make with simple clean-up and keeps well in the freezer. What’s not to love?